President Trump let the 12 permissible categories of travel remain, most notably the popular people-to-people travel category, which allows any American to legally travel to Cuba as part of a group on a people-to-people tour. He did, however, eliminate one of Obama’s last policy changes to the travel restrictions in 2016, which permitted individual traveler under the people-to-people category without traveling as part of a group. It is now once again required that Americans travel to Cuba as part of a group with companies like insightCuba that are authorized by the U.S. Department of Treasury. All other travel categories remain intact. Temporary exception for individual people-to-people travel: While individual “people-to-people” travel is no longer legal under the new policy, travelers who made at least one travel related transaction or reservation for their trip (e.g. hotel or flight bookings) prior to the announcement on June 16, 2017 will still be able to travel to Cuba legally. The second policy shift by President Trump puts some limitations on which Cuban entities American companies can do business with. According to the policy, direct transactions with entities related to the Cuban military, intelligence, or security services will be prohibited. It’s important to note that this does not put limitations on Cuban government or state-run businesses overall, but only those businesses related to the Cuban military, intelligence, or security services. Most U.S. tour operators, including insightCuba do not do business with these entities, and few hotels are projected to be effected for U.S. travelers across the island. Commercial airlines will still be permitted to offer flights to Cuba and you can still get there via cruise ship (granted you join an organized tour with a licensed company such as insightCuba); and when you get there, you can still use your U.S. cell phone on roaming if your provider offers it. One of Obama’s last moves on U.S.-Cuba policy was to lift the limits on the rum and cigars that Americans can bring home from their trip to Cuba. This policy will remain unchanged, so you can bring home as many Cohibas and bottles of Havana Club as you’d like, granted that they are for personal consumption and don’t exceed general U.S. Customs limits that apply to all countries. The opening of embassies in both Havana and Washington, DC made big news in 2015 after being closed for 54 years. Fortunately, these two embassies and the resulting diplomatic channels of communication will remain open. 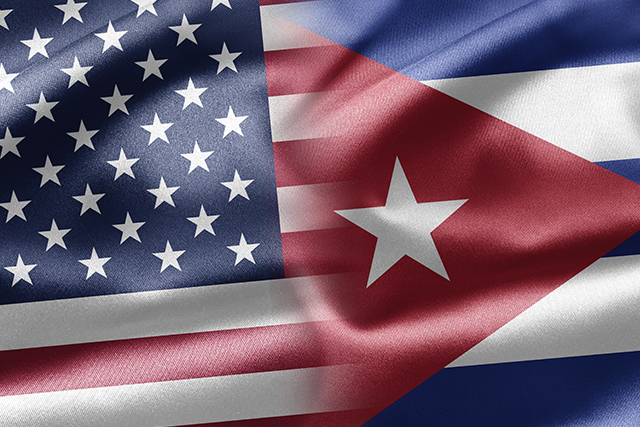 For more details on this recent update to U.S. policy toward Cuba, you can read the Office of Foreign Assets Control’s Frequently Asked Questions on President Trump’s Cuba Announcement and the White House’s Fact Sheet on Cuba Policy. InsightCuba was the first company to legally bring Americans on people-to-people tours to Cuba in 2000 and has since sent over 20,000 people. With six Signature Cuba tours, Cuba Getaways, Cuba Cruises, and private group tours, over 250 departure dates, insightCuba has something for everyone. Click here or call 800-450-CUBA to secure your spot today! There is still a lot of uncertainty about what constitutes a group. How many people would need to be traveling under the same itinerary for this to be considered a group? As a cuban-american do I still need a cuban visa to visit the Island? As a Cuban-American, if you were born in Cuba it is possible that you would need a special visa to visit the country. Please call one of our travel specialists at 800-450-2822 for the most up to date information. Thank you!